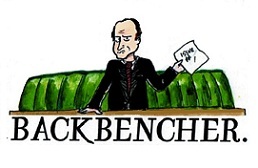 The Backbencher – Why Are Brits Such Bad Europeans? Why Are Brits Such Bad Europeans? Despite the efforts of successive governments over the decades, Brits have shown a stubborn refusal to embrace the European identity. It can’t be easy being a Europhile in Britain. I can only imagine it’s akin to being a nudist working at a fashion label. And its not like the EU goes out of its way to make your life easier; the Euro Crisis, spiraling youth unemployment, shrinking share of world trade, diplomatic impotence, and a demographic time bomb of falling birth rates and ever increasing life expectancies. But even if those problems could be wished away, you’d still be left with the British public. Why are we so ornery and perfidious when it comes to the European Project? Why are we so unwilling to think of ourselves as European? The Anglosphere, and especially the US, has a lot to do with it. When the world’s pre-eminent power speaks your language and asks you to join in its adventures, it’s easy to think you’ve got more clout than you actually have. This mindset is further enhanced by the haste with which emerging regional powerhouses adopt English as their preferred method of communication, and embrace free(ish) markets. Then there’s the fact that in living memory, we used to own a quarter of the planet. France and Spain had their time in the sun, but not for centuries. That’s significant. be surprised therefore that British politics is influenced by being an island. Being an island automatically instils a feeling of detachment. The oceans become your borders, and other sea faring nations become your natural partners. The Nordic countries, North America and the British Isles have much in common, far more than say, Britain and Spain. We favour free trade, Europe prefers protectionism. We place emphasis on the individual; in Europe the State is all-powerful. We see globalisation as an opportunity while Europe sees it as a threat. Culturally, economically and even linguistically, we have more in common with Mumbai and Massachusetts than with Milan or Madrid. British Europhiles have also got to contend with two thousand years of history. The greatest threats to British security have always come when there has been concentration of power on the Continent. The Romans, Spain and the Hapsburgs; French monarchs, Napoleon, and the Germans; all have sought continental hegemony, with England then Britain allying itself with which ever collection of States was opposing them. Psychologically, the EU is a continental hegemony. This is why we still ally with the Danes and Swedes, and why, bizarrely, we favour European expansion, so as to have more allies with whom to frustrate those who seek unity. But what about Ireland, I hear you cry? They’re an island, and but they are pro-EU. Again history is everything. Ireland’s national identity is, like it or not, defined by its relationship with Britain. Rivalry became interference, which became bullying, which eventually became outright subjugation. Throughout, smaller, weaker, poorer Ireland was never able to challenge British power head-on. Instead, Ireland courted the continental powers, particularly France, in order to distract Britain and force its attention south, not west. For Ireland therefore, a strong continental power protected Irish identity. Another huge factor in determining why we view the EU so differently was the Second World War. Britain was bombed and bankrupted by the Second World War. It suffered approximately half a million casualties. But compared to continental Europe, we got off pretty lightly. Mainland Europe was ravaged by fighting. More bombs fell on Germany in one night than fell on Britain the entire war. Some villages in Europe were simply blasted out of existence. Against this backdrop it’s easy to understand the desire for a higher authority to guarantee the peace. For some, its America and Nato, for others the UN, but for most, it’s the EU. It’s difficult for us to imagine, but there are many who genuinely think that the EU is the only thing preventing a return to war between the European powers. Do EU chiefs play on this fear? Absolutely. But a part of them genuinely believe it too. Brits worry what happens when EU institutions become too strong. Europeans worry what might happen if EU institutions aren’t strong enough. This final point, I think, is the most important. Brits view the EU as a transactional relationship, a simple cost/benefit analysis. Whether or not we stay in will be determined by a spreadsheet. For Continental Europeans, it’s an emotional, almost irrational sense of gratitude. It’s why British eurosceptism is viewed with incredulous head scratching by Europeans. They just can’t figure why we don’t see it like they do. These are fundamentally different world views. It is not to say that one is right and the other wrong, but an acknowledgement that there is such a difference has been long overdue. No amount of EU funded projects or flags on town halls will change deeply ingrained attitudes. This didn’t matter when we were half heartedly in a loose EU. But within the next five years the EU will change dramatically, implicitly demanding total commitment or withdrawal. Policy makers in the UK have their work cut out trying to sell that new reality.